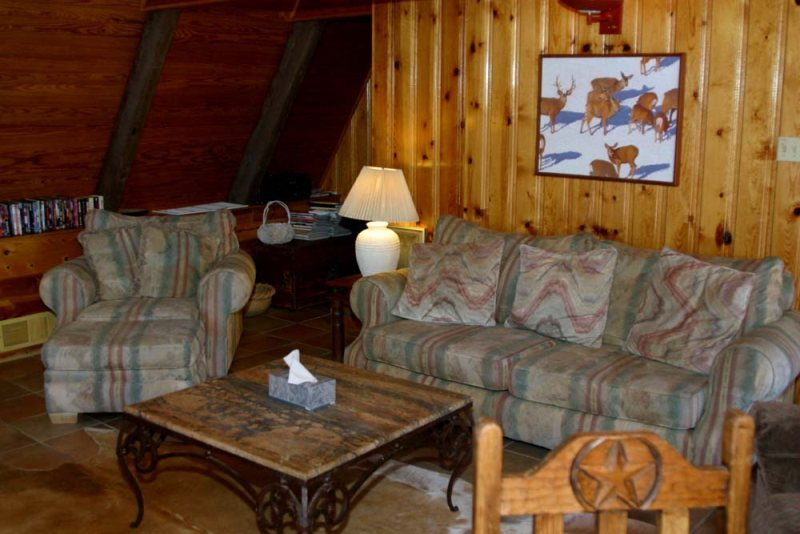 Alpine Mountain Chalet is a unique three level four bedroom one full and two ¾ bathrooms. 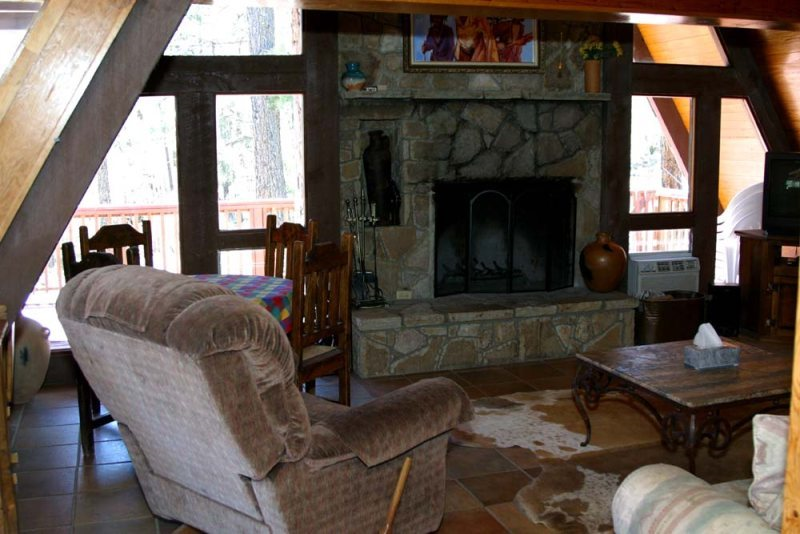 For the summer months Alpine offers window a/c units and a two grand fireplace for the cold winter nights. 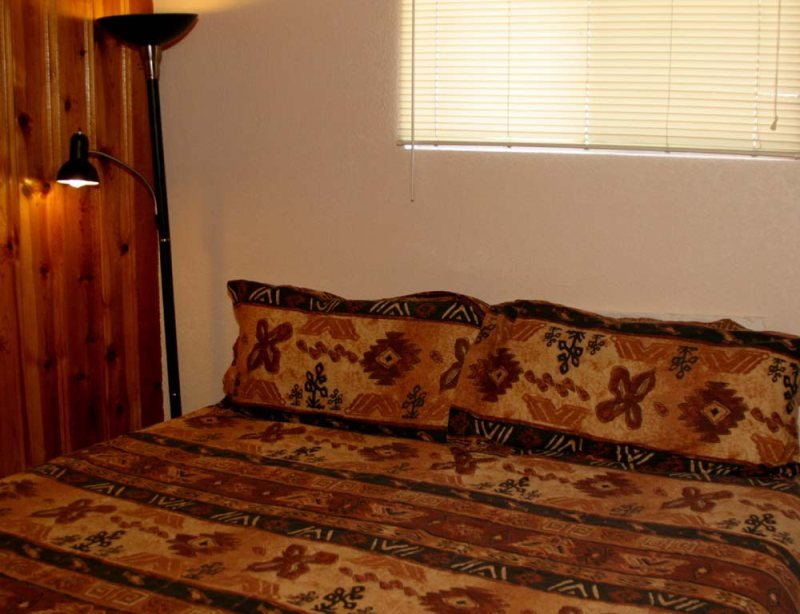 Three King beds and one Queen bed. 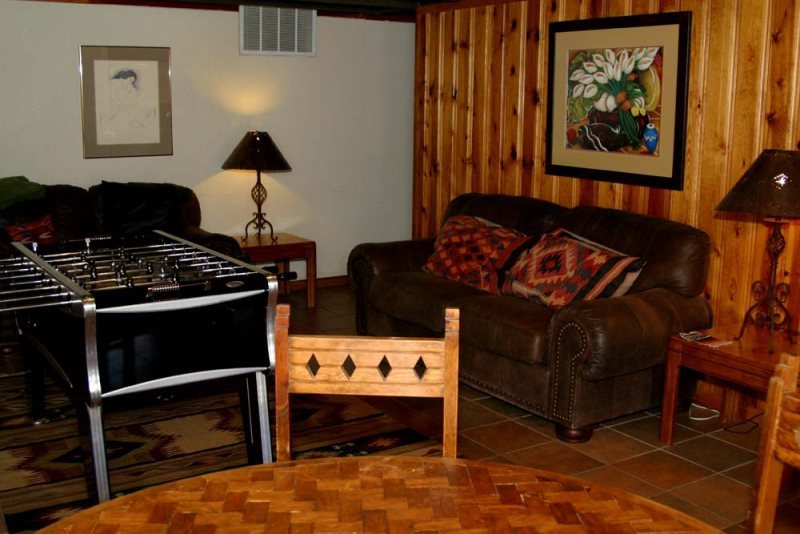 Alpine offers a fully equipped kitchen and the house is fully furnished. 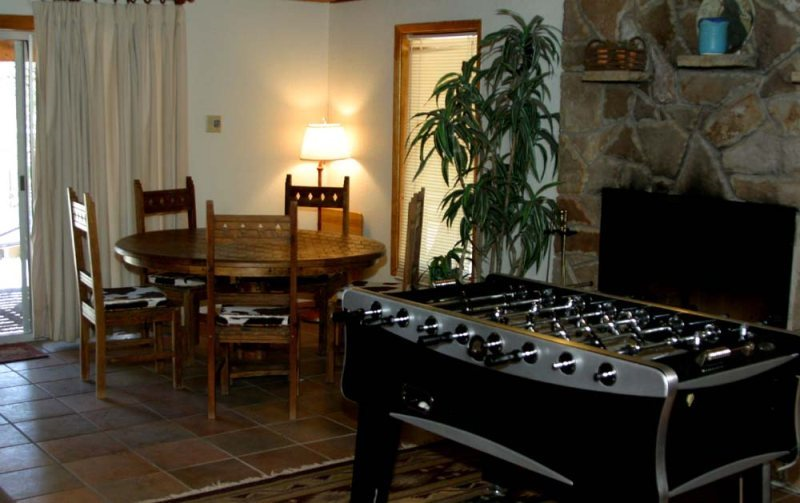 A large Hot Tub on the deck and Foosball table on the lower level. 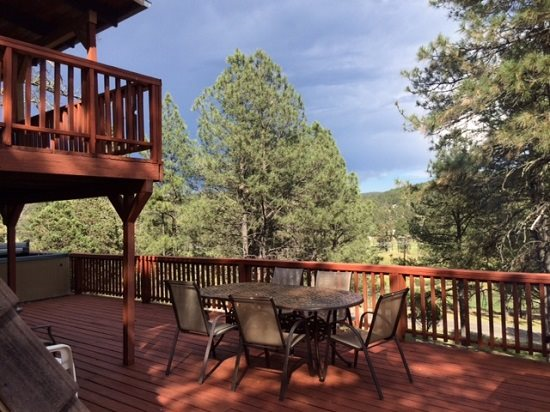 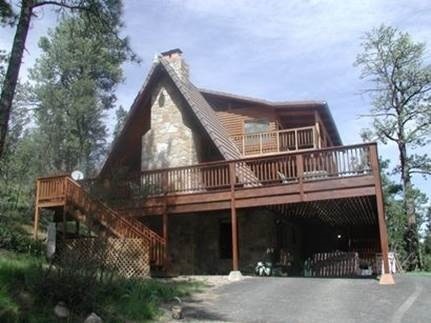 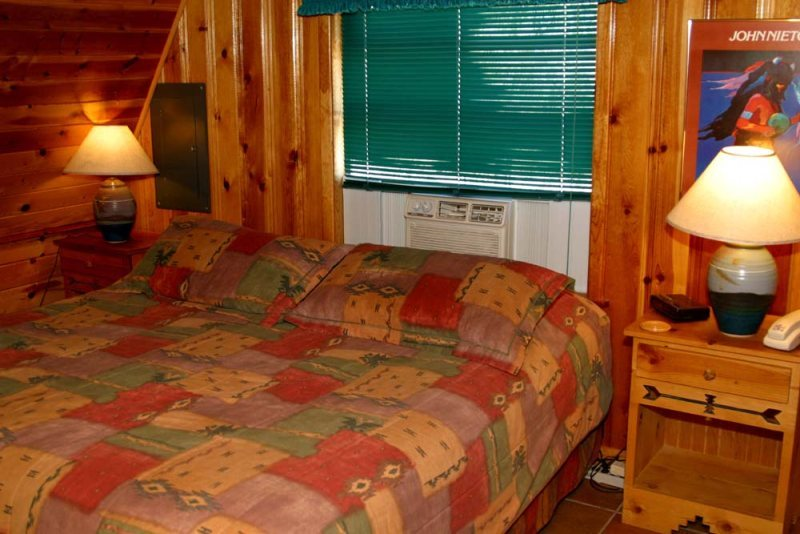 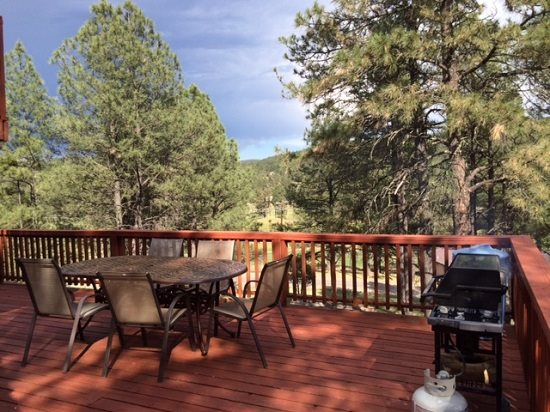 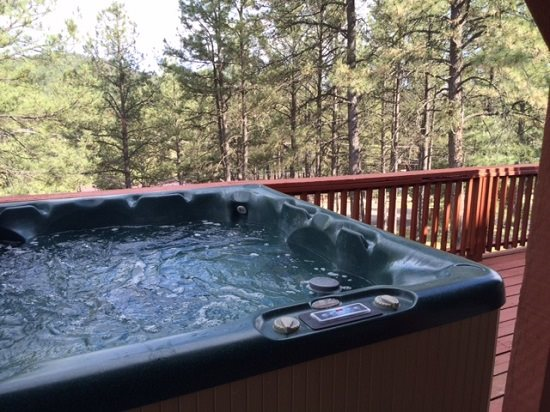 With WiFi this cozy home has everything you will need for a great family vacation in the cool pines of Ruidoso, New Mexico.